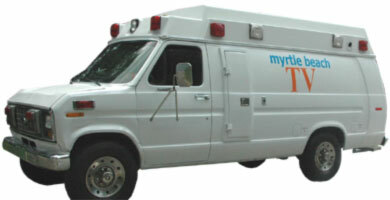 With a Manfroto tripod mounted in front, the Myrtle Beach TV production truck (yes, it's a converted ambulance won in an ebay auction) winds through the traffic on the streets of the Grand Strand, as well as the highways, capturing raw road footage along the way. Each episode of Myrtle Beach TV shows some of this raw road footage. In this section here, we'll show you even more road footage than aired. Until we fully integrate the road footage into this section of the website, check out the aired street shots in various episodes.